Handle and scabbard are made from natural red oak. Ribbon wrap design detail on handle serves for better grip. Scabbard has an easy quick draw design. Includes braided cording for securing your sword to the scabbard. XMA logo is also laser engraved on scabbard. Unique x shaped handguard. For Display Only. 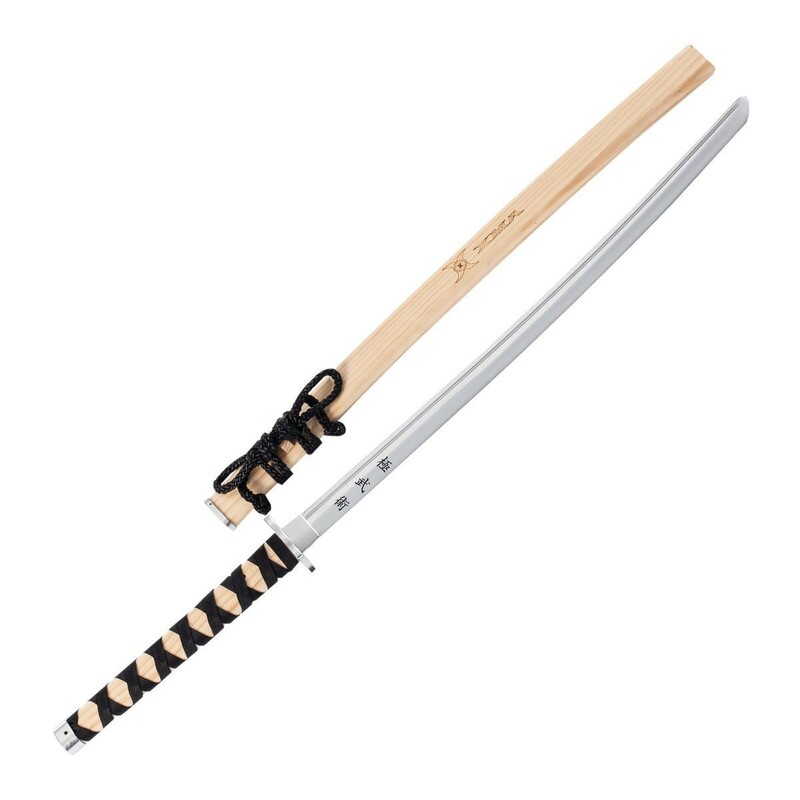 Exemplify the spirit of XMA with this beautifully crafted competition sword. Blade is made from aircraft grade aluminum and features: blood groove, XMA Kanji symbol laser etching, nonsharpened with a serrated edge and polished to a high shine.